The name “Thermopylae” originates from ancient Greece as the site of a historic battle where, as legend goes, 300 Spartans resisted the forces of the Persian army-the most powerful military force in the world at the time. Like those warriors, TST believes in accomplishing the impossible. 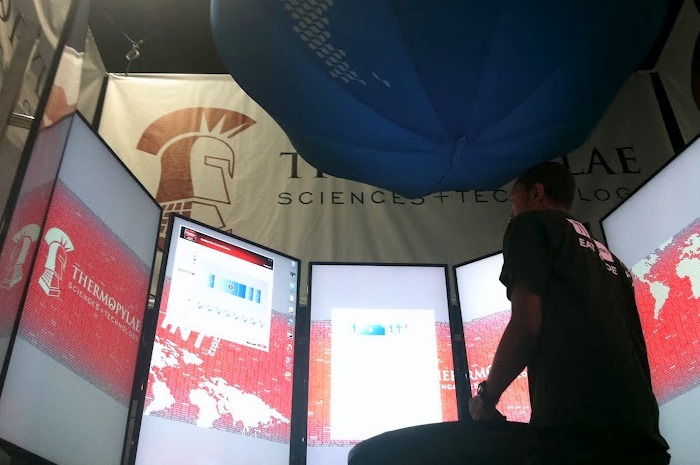 Thermopylae Sciences and Technology was founded in 2007 by AJ Clark and a team of seasoned executives with strong federal contracting backgrounds. This team, using their experience and expertise, put together a company built on hard work, innovation, and a desire to conduct business in a way that would change how technology is used within the government. All of TST’s founding members have real-life exposure to the intelligence community, allowing them to have a first-hand perspective of customer needs. Under AJ’s leadership, TST has grown to nearly 120 employees, grossing over $20 million annually since its inception in July 2007. The core tenets of the company, maintained since day one, stress innovation, a good work/life balance, strong ties to the community, and collaboration. These tenets ring true for both TST’s employees and how we conduct business with our customers. We are fully committed to improving the quality of life for our employees, our community, and our customers. This is not just a responsible corporate practice-it’s good business. As a small business, TST is able to facilitate contribution from all areas of our company. Unlike a large, functionally-organized company, we are often able to get business development, marketing, software developers, and management all together at one table. It is this type of collaboration that helps TST generate some of our best ideas. Because of our innovative culture, our employees have to be adaptable, open-minded, and have value to contribute on a regular basis in order to succeed. The cumulative result is a better product that is deployed faster and more efficiently. TST is growing quickly and plans to continue our rate of growth into the foreseeable future. We also plan to constantly improve our capabilities and our quality of work. Although we remain loyal to our government and military customers, we are making great strides in our private sector growth and intend to expand that portion of our business. We are able to do this because of our internal mantra: understand our customer’s requirements, and then work hard to satisfy them. We truly believe that if an organization works hard and constantly innovates, success is the inevitable result.